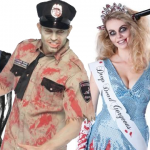 Here’s one for The Walking Dead fans among us – a zombie apocalypse Halloween party theme! Zombies are one of the most classic movie monsters of all time, and we can’t get enough. 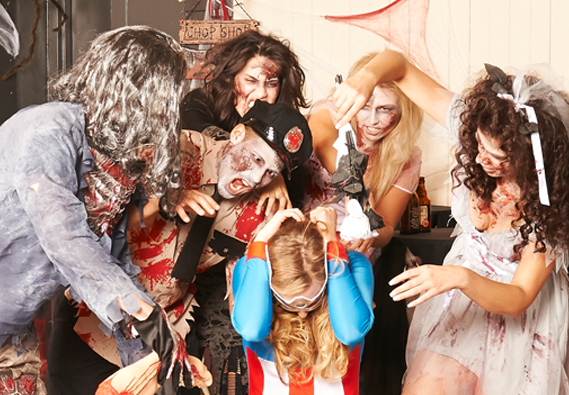 That’s why we’ve thrown not one, but two zombie parties to give you plenty of ideas for Halloween. 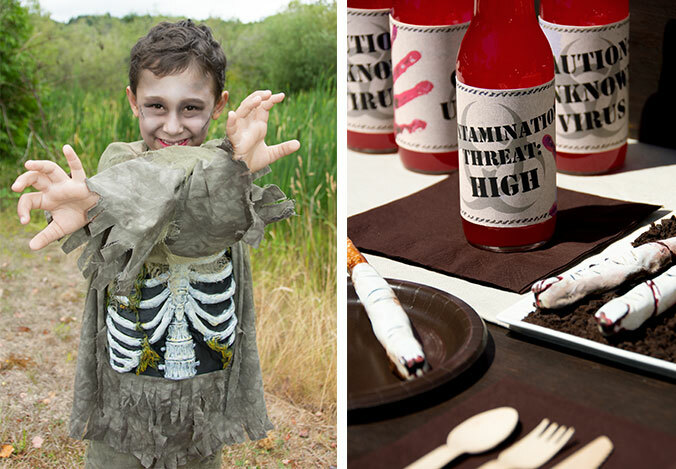 Catch up on our Top 10 Halloween party themes here, or keep scrolling to enter the apocalypse! 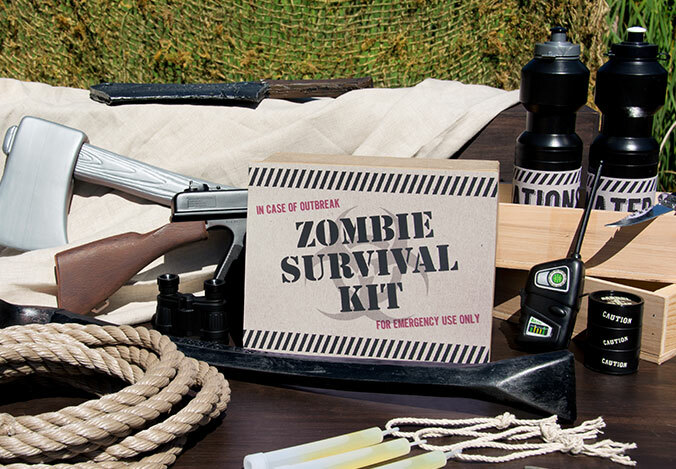 Guests will need their own zombie survival kits to get through the zombie apocalypse unharmed. 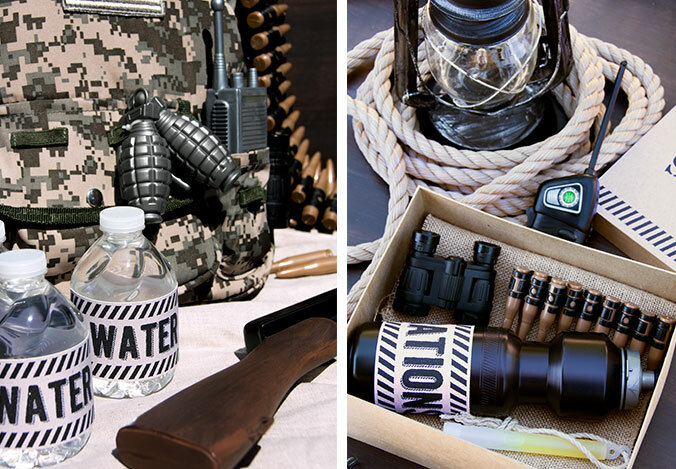 Rope, glow sticks, and toy weapons are all important additions to any survival kit, and kids will have tons of fun with them, too. These zombies don’t stand a chance. Those aren’t actually samples of an unknown killer virus – just punch. 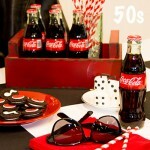 But, it’s easy and quick to make your own creative labels on bottle wraps for drinks and refreshments. 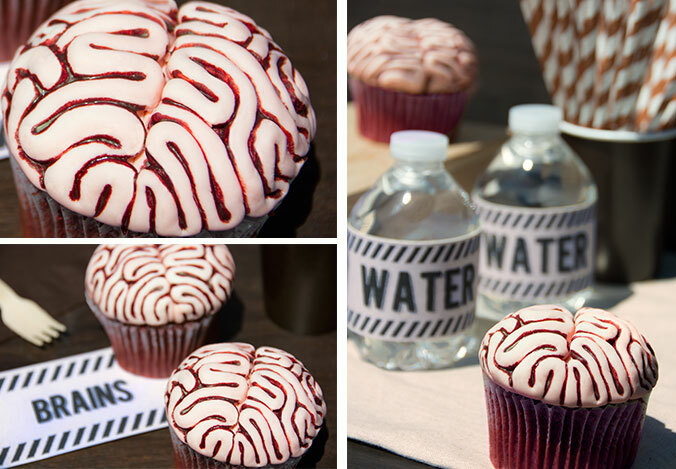 What could be more perfect for a zombie Halloween party than brain cupcakes? These are baked from red velvet to get that bloody look right from the get-go, and covered in pink frosting. 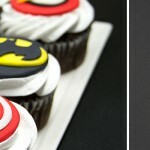 The frosting is them sculpted with a toothpick and red food coloring or decorating gel can be used to finish off the brainy design. 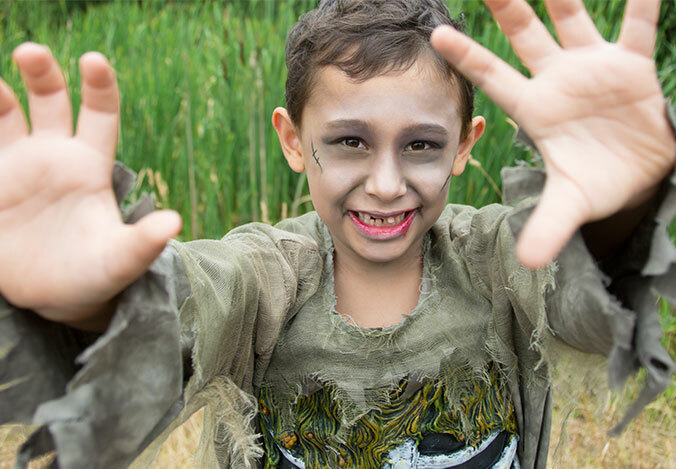 Zombie costumes and a little bit of makeup can turn any kid into a ferocious force. Stay away to avoid getting eaten! 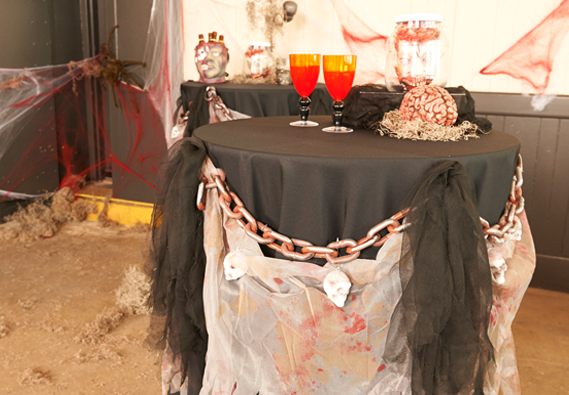 We used a basic black table cover with some bloody cloth and faux chains to decorate this table. 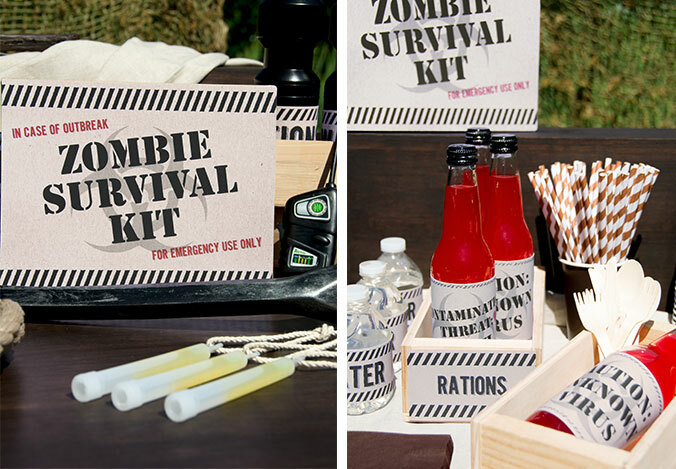 Brains are really the only sustenance most zombies need, but you may want to diversify the available options for your guests just a little bit. The snacks table is where all of the brain food for the party belongs, but here’s a zombified take on brain freeze while we’re at it. 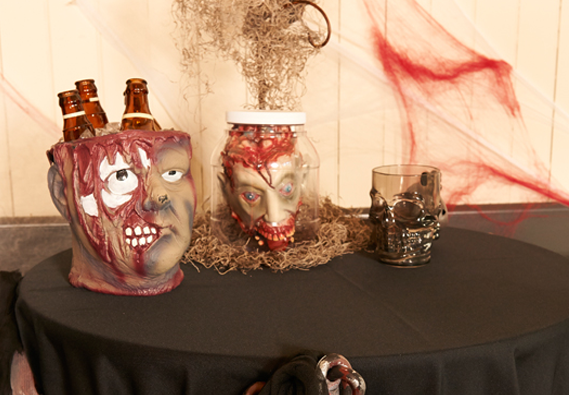 A decapitated zombie skull, packed with ice, is the perfect way to keep beers and beverages frosty cold. 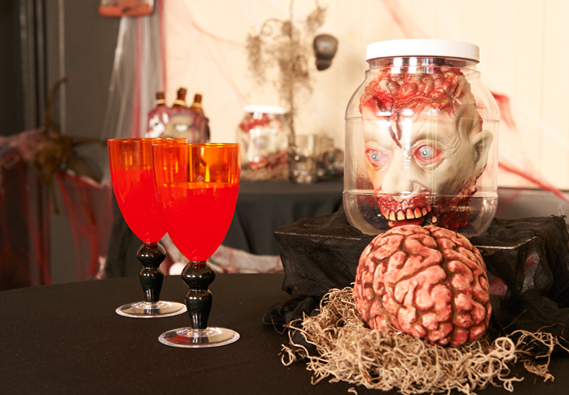 Zombie heads in jars are great decorations, too. Pair them with some fake brains as you serve drinks. 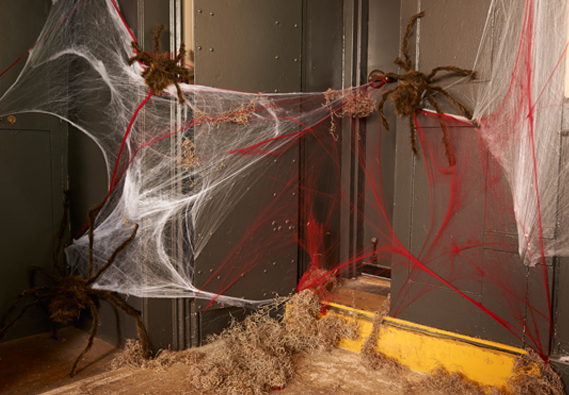 A group of spooky spider decorations made themselves right at home in the corner of the room, along with some fake cobwebs. Using red ones adds a little variance to the theme and adds a “bloody” feel. 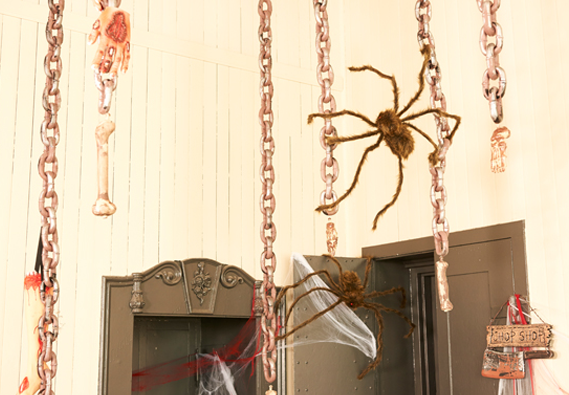 Giant spider props dangled from the ceiling, too, thanks to more chains and a bag of bones. Captain Miss America seems to have wandered into the wrong party. (She’s looking for the Superheroes vs. Villains Halloween party theme, which you can read about here.) Not even superpowers can save you from a zombie horde! Do you love zombies as much as we do? What are you choosing for your costume this year? 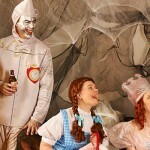 Are you going to throw a Halloween party using these tips and tricks? 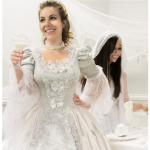 If you liked the party ideas in this post and want to see more like them, then let us know – share your thoughts and party pics with us on Facebook and Twitter @BuyCostumes! Be sure to also check out all of our boards on Pinterest, where we’re always adding new sources of inspiration for Halloween costume ideas and party ideas. Good work I have never seen before.